Preparing your CEO for media interviews is always a challenge. This is because most of the time CEOs are too busy and occupied with managing and running the business. And rightly so because that is their main job – to grow and manage the company. But doing media interviews is also a vital part of a CEO’s role. As the main person in charge of a company or a business, the CEO is usually considered the ‘face’ of a company. This means the public perception of a CEO could also affect how the company or a business is perceived by the public. And though doing media interviews may not count as ‘managing’ the business or growing a company, it plays a critical role in building the profile of a company and its products and services. Being interviewed or quoted in positive media articles, is one of the most effective ways of building and boosting a company’s profile. The study conducted by the School of Journalism and Media Studies at the University of San Diego, analysed the media coverage of 36 Fortune 100 companies and their CEOs. Though there are no similar studies here in Australia that analyse the relationship between media coverage of CEOs and the public perception of companies they represent, there are anecdotal evidence to show that there is a link between the two. You only have to look at some national newspapers to see that most often than not when a CEO gets a positive media coverage, the company being represented is also painted in a positive light. And the same can be said about negative media coverage. When a CEO is painted negatively in the media, almost always the unfavourable coverage will also extend to the company or business associated with the CEO. 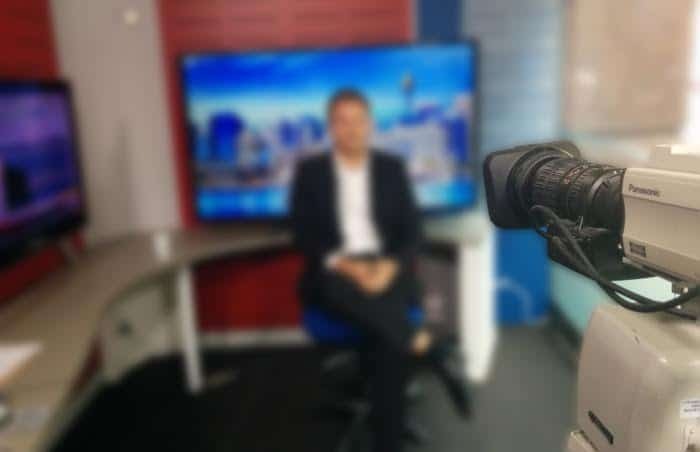 Knowing this critical relationship between a CEO’s media coverage and the public perception of the company/business associated with him or her, it makes you realise the importance of doing a thorough preparation before every media interview. If you’re in charge of preparing your company’s CEO and other executives for media interviews and you’re finding it challenging, here’s a few things that can help to make your preparation easier and more efficient. Most journalists will give you a general idea of the topic or item they want to cover in an interview. After all, they want to get useful information that they can use for their articles. But if the ‘brief’ from the journalist is too general, you may need to ask for some specifics to make sure that you can do a thorough briefing for your CEO. What is the outlook for the Australian dollar in 2016? What’s the outlook for the US dollar this year? Asking for more details can help you make the preliminary research on those topics, which in turn can help you in producing briefing notes for your CEO. Given that CEOs are always pressed for time, it is usually helpful to have even a one-page document as a briefing note to highlight the topic and potential questions for the media interview. A briefing document could be as simple as a few bullet points, but it is a good idea to have some facts and figures and additional background information about the topic. The briefing note can also be handy if your CEO wants to put in additional notes and information that may not be readily available to you. No matter how time poor your CEO is, it is a must to spend even 15-30 minutes with him/her before a media interview. This is the time to go through the topics and prepare some answers. Though you can’t predict all the questions from the journalist, it is helpful to go through some possible questions and rehearse the answers. Whether it is a face-to-face or phone interview, it is ideal to do ‘practice’ session before the CEO speaks to the media. At Profile Booster, we’ve found these ‘practice’ sessions helpful and useful for our CEO clients. One of the benefits from these sessions is that it gives them time to consider and think through the key points and messages that could easily be forgotten or missed in the absence of a rehearsal. Most of the time, all you need is a few minutes of preparation that could make a lot of difference between a good media interview and a great one. If you’re finding it challenge to prepare your CEO and other executives for media interviews and would like to discuss some useful tips, we’ll be happy to chat with you.